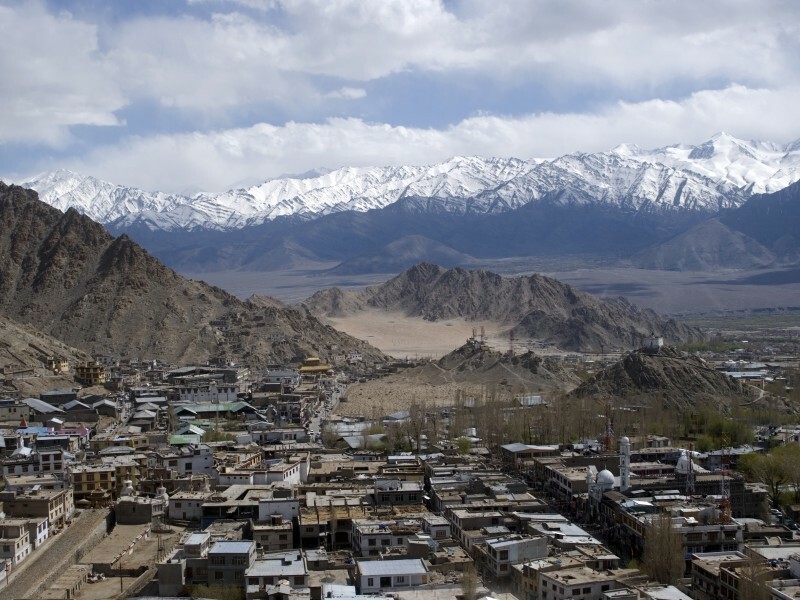 Leh is located in the Indus river valley at a crossroads of the old trading routes from Kashgar, Tibet, and Kashmir. Leh was the capital of the Himalayan kingdom of Ladakh; The town is still dominated by the now ruined Leh Palace, former mansion of the royal family of Ladakh, built in the same style and about the same time as the Potala Palace. Its importance as a trading town slowed down with the partition of British India, and ended with the closure of the border in 1962 during the Sino-Indian war. Since the 1999 war with Pakistan, and the consequent development of the Manali-Leh highway, it has become a bustling tourist town, with large numbers of Kashmiri traders. It’s a small town, easy to get most places by foot. The old town is a compact area of mud brick houses and narrow lanes directly to the east of Main Bazar. Changspa is the agricultural “suburb” northwest of the center, with many guesthouses. The main Bazaar’s elevation is 3505 meters, so take it easy on your first few days there or risk possible altitude sickness. Even experienced high altitude travellers (Andes) might have some trouble. The former Palace of the King of Ladakh. 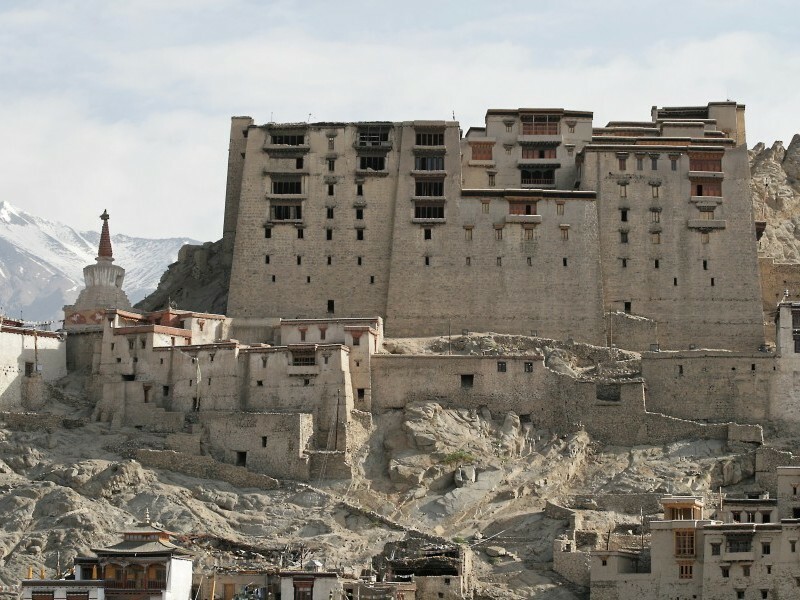 The most noticeable building in Leh, the palace was built in the 17th century, and now undergoing restoration. There's not much to see on the inside, but there are good views outside. Above the Palace, built 1430, is only open from 7AM-9AM during the morning puja. Built by a Japanese Buddhist group. This modern stupa is somewhat kitschy, but still worth a visit. A beautiful lake with deep blue waters, surrounded by tall mountain peaks. 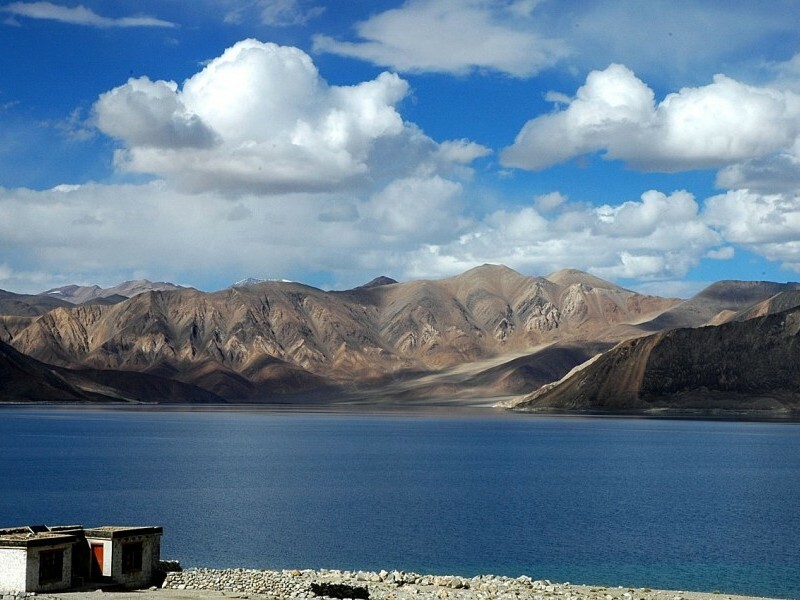 This lake lies on the Indo - China boundary, with only one fourth of the lake being in India. 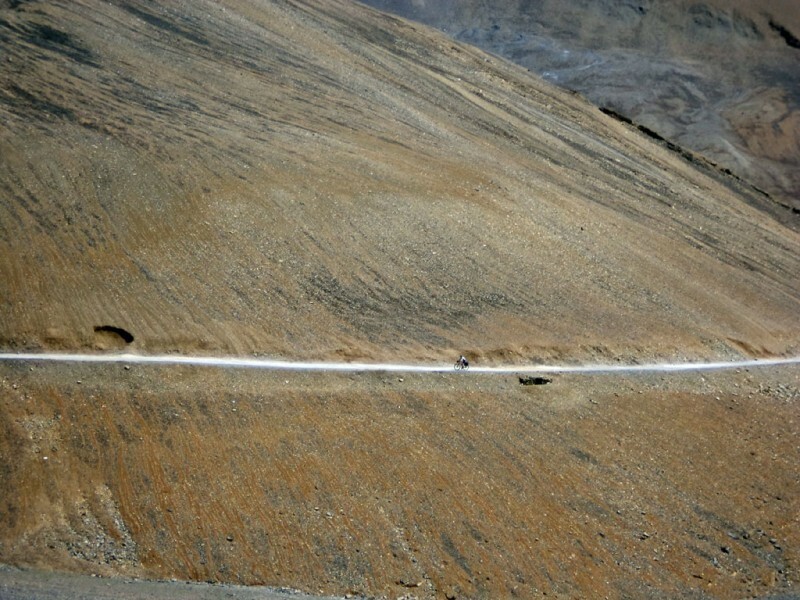 The road to this lake passes through Chang-la pass, claimed to be at 5425 meters. It's a five hour drive (149 Kms) from Leh to this place. If one is staying in Leh please leave around 4 in the morning. 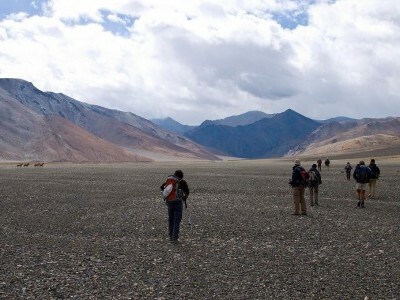 The problem in reaching Pangong Lake is that around 5 kms before the Lake, water from the snow melting blocks the passage by 1 O’clock in the afternoon & it doesn’t clear up until 8 in the evening. So, unless you want to get stuck there till late, leave early. The passage is also very tough to cross by car. So a four-wheel drive car is recommended. Experienced bikers should not have any problem. 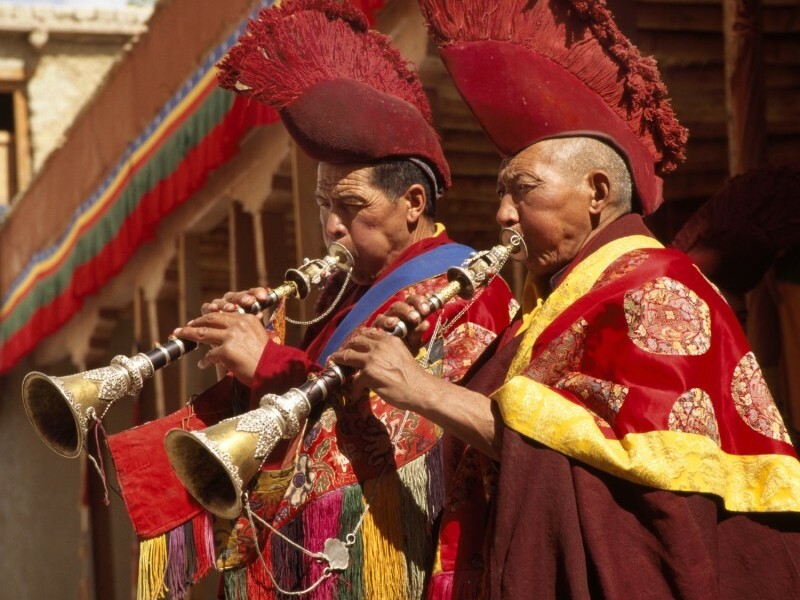 Most travellers use Leh as a base to visit the numerous gompas, the Buddhist monasteries of Ladakh. 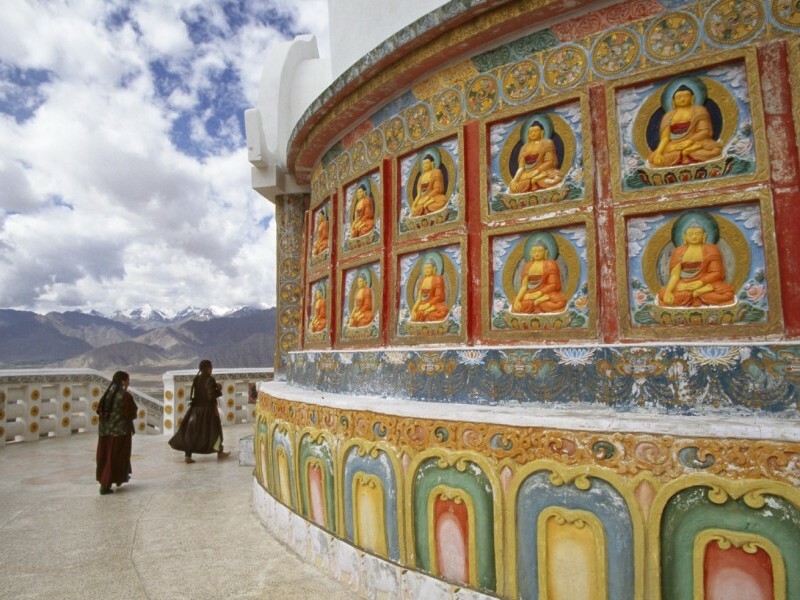 Spituk Monastery, also better as Spituk Gompa or Pethup Gompa, is a Buddhist monastery in Ladakh, The site of Spituk was blessed by the Arhat Nyimagung. 8 kilometres from Leh. It was founded by Od-de, the elder brother of Lha Lama Changchub Od when he came to Maryul in the 11th Century. Alchi Gompa dates back to the year 1000 AD and was built by the Translator, Rinchen Zangpo. 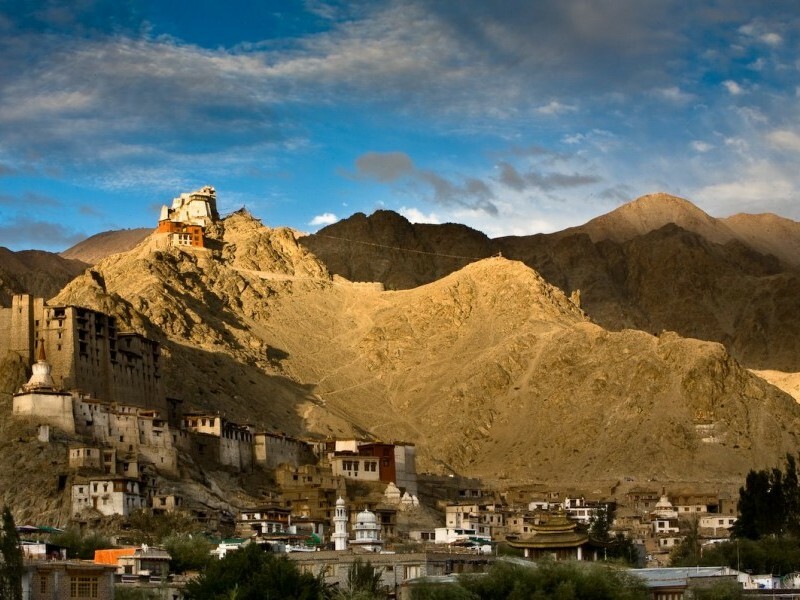 It is famous for the existence of one of the oldest monasteries in Ladakh (a national heritage) Alchi Monastery, mainly known for its magnificent and well-preserved 11th or 12th century wall paintings, all in an Indo-Himalayan style. 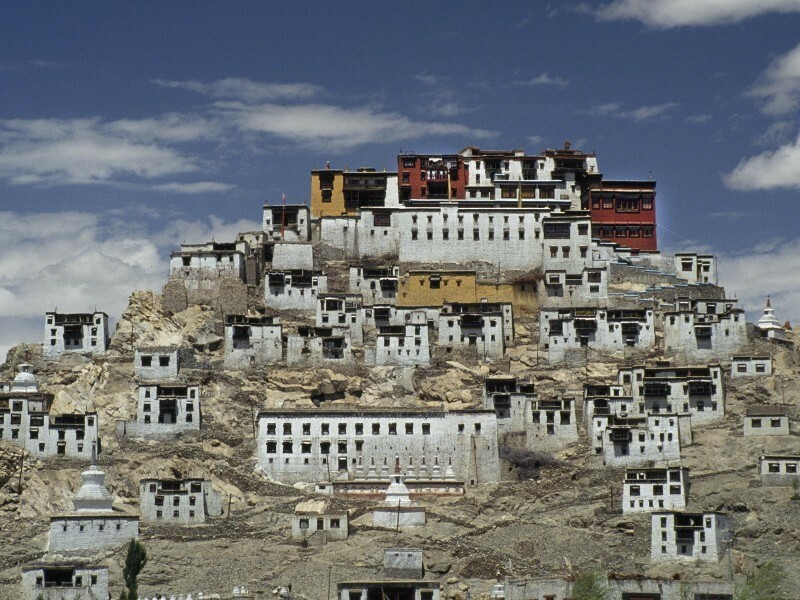 The Rizong Gompa of Ladakh was founded by the great Lama Tsultim Nima in the year 1831. 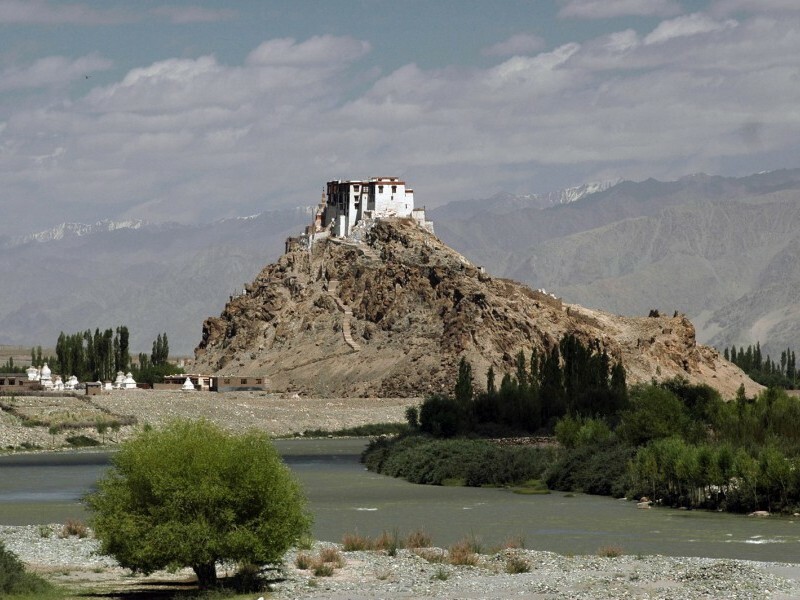 The monastery is also called the Yuma Changchubling in Ladakh, India. It is situated at the top of a rocky side valley on the north side of the Indus, to the west of Alchi on the way to Lamayuru. It was established in 1831 by Lama Tsultim Nima under the Gelukpa order, at Ri-rdzong. There are 40 monks in the monastery. 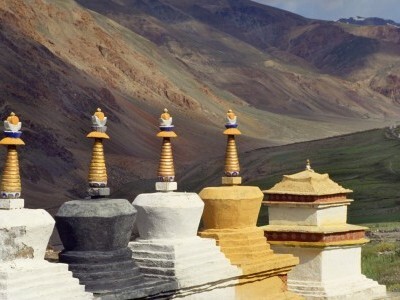 The monastery is also called “the paradise for meditation” and is noted for its extremely strict rules and standards. 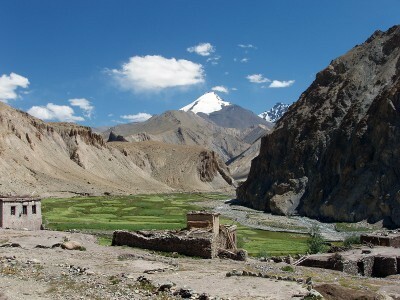 It is picturesquely situated on a little hill in the valley near the Indus River and the village of Saspol about 9.5 kilometres (5.9 mi) north of the Srinagar to Leh highway. 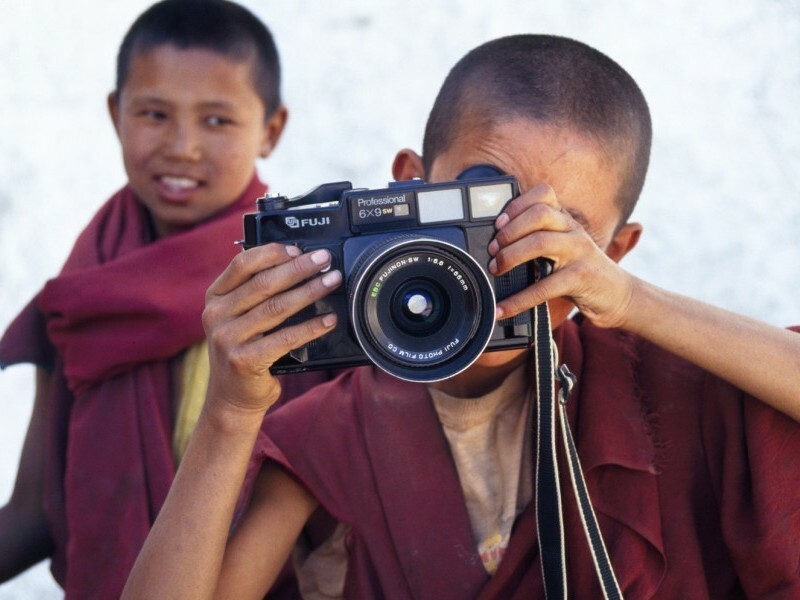 It belongs to the Gelugpa sect of Tibetan Buddhism and was established in 1065 by Lama Duwang Chosje, under the command of the fifth king of Ladakh, Lhachen Gyalpo (Lha-chen-rgyal-po). 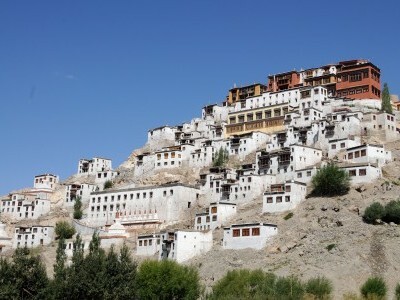 Lamayuru Monastery is situated in Ladakh, in between Bodhkharbu and Kha-la-che, on a steep rock mountain. 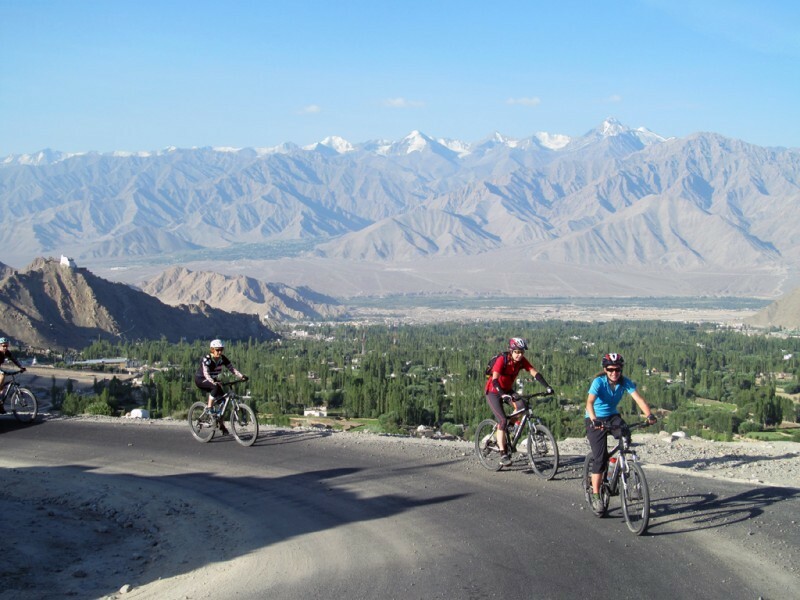 It lies at a distance of approximately 127 km to the west of Leh town. Lamayuru Monastery belongs to the Red-Hat sect of Buddhism and houses approximately 150 Buddhist monks. The monastery is made up of a number of shrines and also has a very rich collection of thankas and magnificent wall paintings. 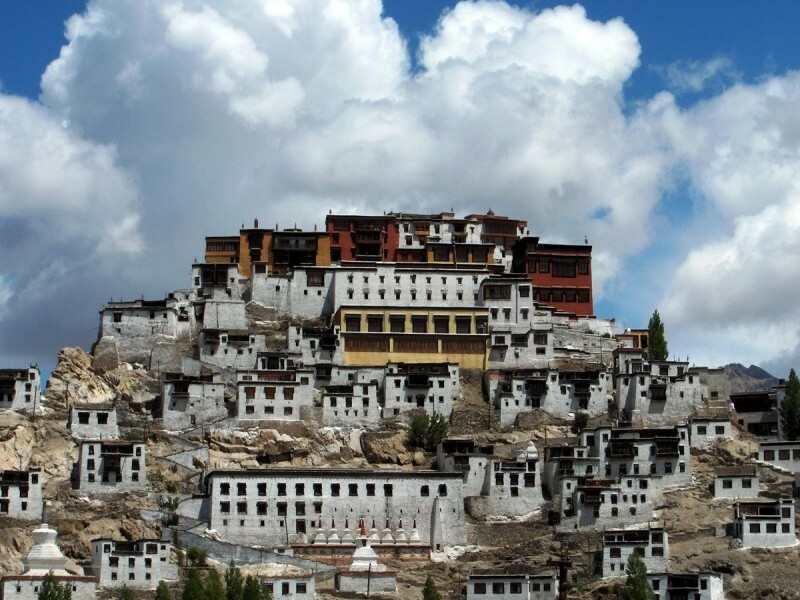 The monastery is located at an altitude of 3,600 meters (11,800 ft) in the Indus valley. It is a 12-storey complex and houses many items of Buddhist art such as stupas, statues, thangkas, wall paintings and swords. 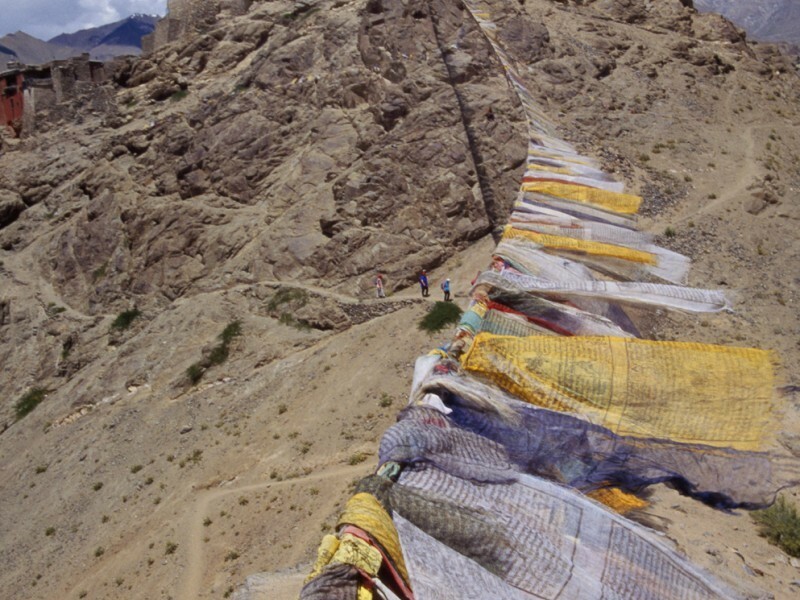 One of the main points of interest is the Maitreya (future Buddha) Temple which is installed to commemorate the visit of the 14th Dalai Lama to this monastery in 1970. 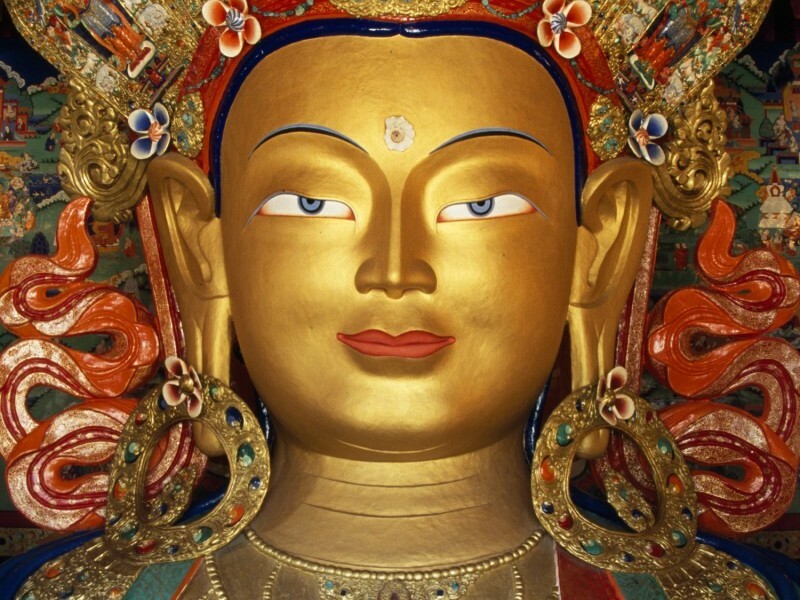 A 15 meters (49 ft) high statue of Maitreya, the largest such statue in Ladakh, covering two storeys of the building is deified in the monastery. A nunnery is also part of the complex. Fascinating place run by the Indian Army showcasing the history, glory and the tools of the trade related to army operations defending India in some of the most hostile terrain in the world. It also has a fascinating display on the Siachen battlefield - the highest and more arduous battlefield in the world. 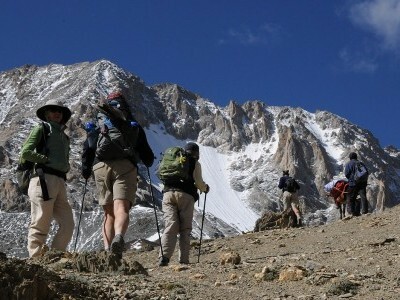 The sanctuary is situated just off the road leading to Khardungla Pass. The public is encouraged to visit the sanctuary and friendly signs will direct you to the sanctuary from the center of Leh. It is no more than a pleasant 5 to 10 minute stroll from the main road to the Sanctuary and the artistic surprise awaiting you is well worth the effort. It is open to the public throughout the day and donations and juicy carrots are most welcome and used exclusively for improving the lives and welfare of these wonderful animals. Free. on the Zaskar and Indus rivers is also organized from Leh. Please be advised that the Indus rafting route from Nimmu towards the Pakistani border has rapids of increasing severity which run along the grades of 4, 4+, and 5; the latter two grades being not for the very faint of heart. 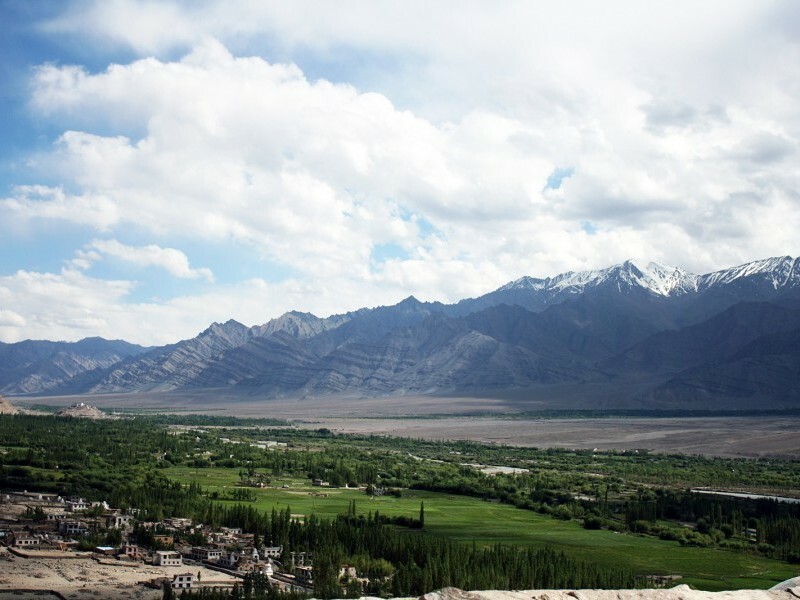 From Leh, you can hire a car and drive over, Kardung-La, to the Nubra Valley. 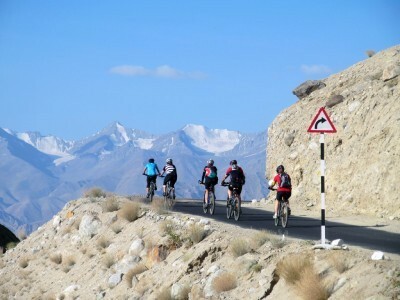 You will need an "Inner-Line Permit”, easily arranged from any of the travel agents in Leh. However, it is better to get it from the office by yourself. Travel agents generally get you permit for the specific places only and can be heavy on your pocket. So, better take the charge by yourself and do it. 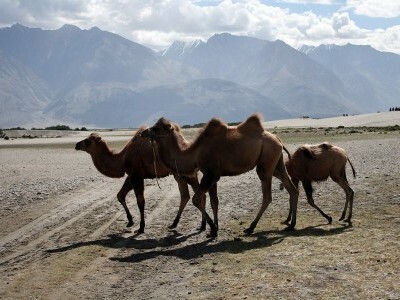 The Nubra Valley is at the base of the Karakorum Range. Within the valley are the Hundar Sand Dunes, well worth seeing. You can hire a 2-humped Bactrian camel there for 300 rupees and take a ride, great fun! It is situated in the Kashmir Valley and lies on the banks of the Jhelum River, a tributary of the Indus. The city is famous for its gardens, lakes and houseboats. It is also known for traditional Kashmiri handicrafts and dry fruits. Manali, lies at an altitude of 2,050 mts in the Beas River Valley, It is a hill station nestled in the mountains of the Indian state of Himachal Pradesh near the northern end of the Kullu Valley. 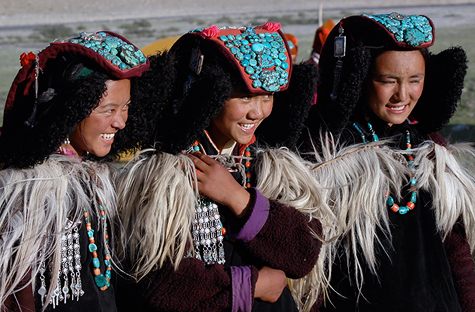 Let one of our tailor-made holiday experts help you plan a personalised Leh experience as per your budget and requirements.